The leading Indian SUV manufacturer Mahindra and Mahindra Ltd has bagged up a partnership deal with Sri Lanka Premier League (SLPL) as their title sponsors. The prestigious league starts from August 11th and will be played over 3 weeks in Colombo and Kandy. The first edition of the league will feature seven regional teams in a round-robin league arrangement. The winner will get a chance to play in the Champions League T20 as one of the teams. President of Sri Lanka Cricket, Upali Dharmadasa said that SLC (Sri Lanka Cricket) is proud and honored to have one of India’s leading business houses alongside them as the title sponsor for the Sri Lanka Premier League which will now be known as Mahindra Sri Lanka Premier League or Mahindra SLPL. He also added that as Mahindra is also one of the leading household name in the country so, this will be the perfect platform to take the message from SLPL to the world, “GAMA RATA LOKEYA, EKA KARNA” or “Province, country, World, Becomes One”. President of Group Strategy and Chief Brand Officer Mahindra Group, Mr. S.P. Shukla said that Sri Lanka is a deliberate market for Mahindra Group as it is already a well-established brand in the country. He also adds that what could be better medium than cricket to engage more audience as it is one of the most widely followed sport in the Sub-Continent with a fan following of nearly 1.5 billion spread over India, Pakistan, Bangladesh and Sri Lanka. From the words of RuzbehIrani, Chief Executive International Operations Mahindra and Mahindra Ltd, they are thrilled to partnered with Sri Lanka Premier League and with the bright ailment of cricket scenario in the world, this league is going to be a grand success. He also added that Mahindra group has been associated with various sporting events and partnership with the SLPL will prove firm’s commitment in promoting active and sporting lifestyle. Sports have always been an integral part of the Mahindra group. The group has been associated with the several sporting clubs like Canadian NASCAR, Celtic football club, Moto GP and now Sri Lanka Premier League that embarks its commitment to develop and promote sports across all regional and global platforms. 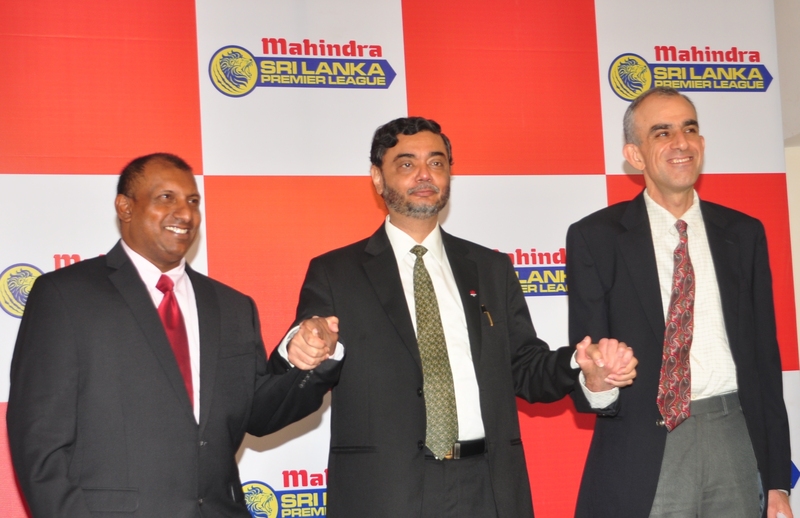 Mahindra is looking forward towards the partnership with the Sri Lankan Cricket Board. The Twenty20 fans would be facing a series of amnesia when cricket stars like Chris Gayle and ShahidAfridi with several other stars will go hands on one another starting from August 31st. Pak’s off-spinner SaeedAjmal, Brad Hodge and Dirk Nanners from Australia, TamimIqbal from Bangladesh, Jacob Oram and Scott Styris from New Zealand and ShivnarineChanderpaul from West Indies are few names that will be staring in the inaugural edition of the SLPL along with Sri Lanka’s own big names like MuttiahMuralitharanmLasithMalinga and MahelaJayawardena. In all there will be about 24 games in the Mahindra Sri Lanka Premier League and each team will be allowed to possess a maximum of 18 players. The rule will allow each team to play with maximum of only four foreign players, while the other slot has to be filled with the local names. The Man of the Match of all the 24 matches will receive a title and trophy of “Mahindra Man of the Match”. The player showing consistent performance throughout the tournament or the Man of the Series will receive Mahindra XUV 500 as their award.